Home bread-making is one of my favorite hobbies. Much like homebrewing, making your own bread is rewarding and allows the baker the flexibility to make a wide variety of different bread styles. Traditional bread, which does not contain preservatives, is best eaten fresh and stales rapidly. Baking bread at home allows the baker to enjoy it at its freshest state, and as such, I try to bake about once a week. But, what does bread baking have to do with beer? The Brewing Network's newest show is called The Homebrewed Chef. The show features chef Sean Paxton, know as The Homebrew Chef, and he discusses many aspects of cooking with beer and pairing food with beer. The show offers a nice departure from The Brewing Network's other shows, which are all strictly beer focused, and tries to pull foodies and chefs into the craft beer movement. At the end of the show entitled Meat The Butcher, Chef Paxton mentions the fantastic idea that bread's flavor can be enhanced by adding beer to the dough. I was dumbfounded - what a great idea! Given that I bake bread often and have access to a constant supply of homebrew, I immediately started planning a baking session to give the idea a try. 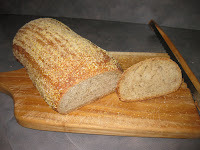 The bread I selected was a simple white hearth loaf from Peter Reinhart's Artisan Breads Every Day, which I modified by switching 15 percent of the bread flour with whole rye flour for increased flavor. I used an Irish red ale to replace all of the water in the dough and just followed the recipe as normal. The dough definitely did not rise as high as normal, which I attribute to the beer's alcohol inhibiting the activity of the bakers yeast. The dough was noticeably darker than normal as well, likely because of the darker color of the beer. 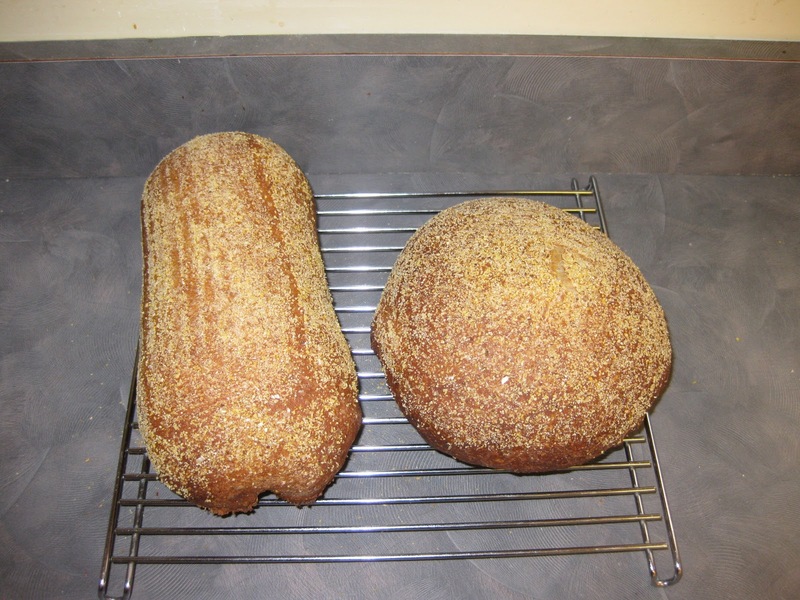 The resulting bread had a dense crumb and a rich and moist flavor that had notes of caramel and molasses. It also had a bitter edge to the flavor, which could have come from the hops, though the Irish red only had 25 international bitterness units (IBU). The bread was enjoyable and would make great toast. I plan on continuing to experiment with beer in bread. In the future, I would likely replace less than 100% of the water with beer, as an attempt to strike a balance between dough rise and beer flavor. This would especially be true when using beer styles with higher IBU levels, like India pale ale (IPA). I will also likely increase the bread's salt content next time I use a malt-forward beer like the Irish red, as it would provide a nice counter balance to the dense malt flavor from the beer. Have you ever made bread with beer? If so, leave a comment and let our readers know how it turned out. Hello there, any luck with your beer bread? Thanks for leaving a comment, Benhamish. I have done several variations on the beer/bread theme so far, including making bread with spent grain, crushed malt, wort, and beer (use the "baking" or "bread" tag to find those posts). It is something I plan to experiment with on-going, but my favorite experiment so far was with using crushed malt. As long as you are using it as an accent flour, instead of a major component, it gives you a lot of flexibility in playing with flavors. My favorite malts have been crystal/caramel malts, as the roasted malts add a bitter component quickly. 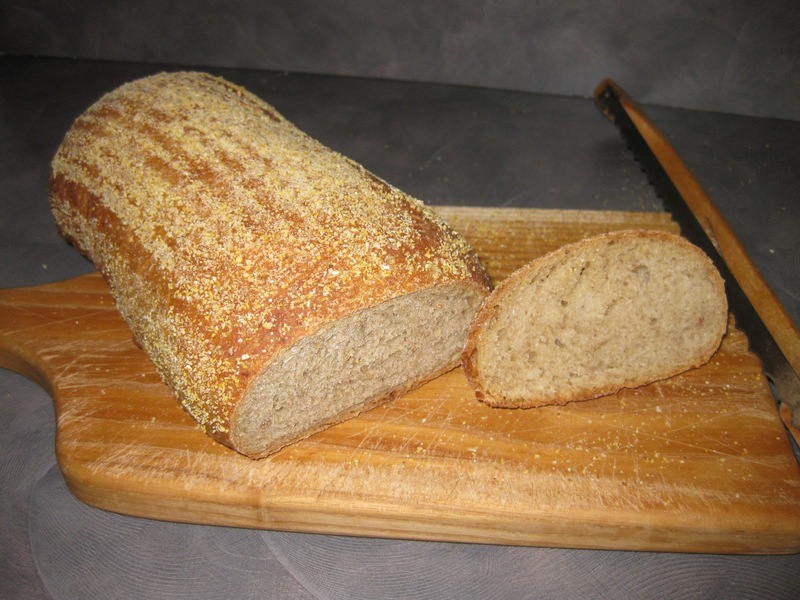 Have you experimented with beer in bread-making? If so, share your experiences with us.